A downpour couldn’t dampen the class of colt The Odyssey who led all the way to win the $500,000 2YO Jewel at the Gold Coast. The Gold Coast track was already rated a heavy nine in the lead up but rain bucketed down for 30 minutes before the race to make the surface even heavier. The rain eased just before the race and the crowd could get a clear picture of The Odyssey ($3.30) going to the front and then hanging on by a length to the fast finishing Miss Cavallo ($13). Ready To Roam ($11) also ran on well to finish third. 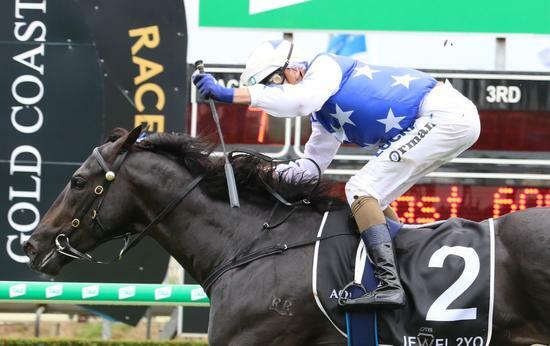 The Odyssey has now won four of his seven starts and been minor placed twice with his only bad run a 12th in the Magic Millions 2YO Classic in January. Schweida put The Odyssey in a paddock after the Millions but decided to bring him back for the Jewel. “He was doing well and I believe the track was too hard for him in the Millions,” Schweida said. “This race was worth more than a Group One and restricted to QTIS horses so provided he was well I thought why not have a go,” Schweida. “He was able to win his lead-up two weeks ago to get ready for today. Things have gone pretty well to plan for him since he came back. “Even the float trip down from Brisbane today was good. The Odyssey cost $30,000 as a yearling but has now returned $557,000 with more to come. The Odyssey is by Better Than Ready who also provided the third placegetter in Ready To Roam. Schweida trained Better Than Ready and he gets an extra thrill from any win of his progeny. “Better Than Ready was a favourite of mine and be able to help his stud career is obviously great,” he said. Schweida said he had made no firm plans for The Odyssey but the winter was an option. 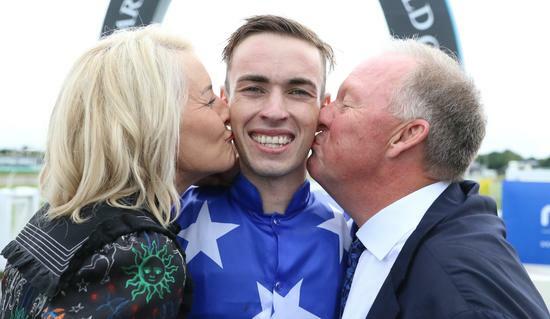 Winning jockey James Orman was aggressive from the start on The Odyssey and it proved a good move. “I said if anyone wanted to take him on for the lead they would suffer and that is how it turned out,” he said. Stewards abandoned the remainder of the Gold Coast after the race.